I have never been one to line up for games on launch day. Actually, I rarely get games launch year. It is probably because I’m constantly discovering, or replaying, older games. This year, I’m doing the logical thing and reviewing all the great gaming I did. 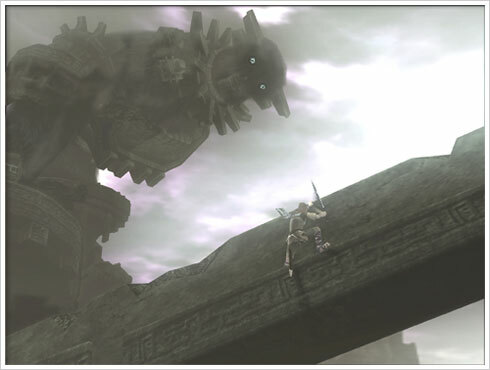 SoTC was one of those games that I wondered if the magic it created was merely an illusion. If I were to replay it, I could see through the smoke screen and not enjoy it like I did before. I couldn’t have thought more wrong. Second time through I was still crying for the poor beasts. I already wrote a blog describing how awesome this fake-retro game is. Basically, it’s more than worth the $5 if you’re in for a tough, but incredibly fun few hours. If you're not looking to spend any money, check out the freeware platformer Searchlight. Rather than go into detail about how Reach perfected and improved the Halo multiplayer experience, I’ll talk about the runner-up TF2 - which I did not expect to be awesome. There’s something to be said about a game that can balance everything from classes, to weapons, to maps as well as Team Fortress 2 does. Had Reach not came out I would still be playing this. I usually only played on the same map too! It may be a little less surprising a game from this year got this award, but hey, it might get next year’s award too! Now almost a year after release, I have not seen anything come close to matching this game. Complain all you want about how almost everything else in the game had to be sacrificed for the graphics and animation but it is undeniable the game looks amazing.